God is a very patient God and we serve him with gladness. “My brethren,count it all joy when you fall into divers(Various) temptations;knowing this,that the trying of your faith worketh patience.But let patience have her perfect work,that ye may be perfect and entire,wanting nothing”. (James 1:2-4). 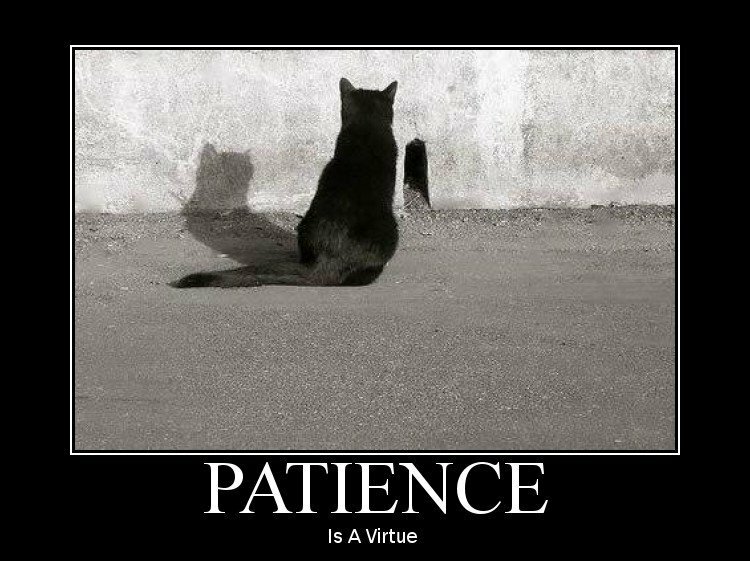 We too are asked to be patient towards all men,for it is through much patience we inherit the promises of God. “For God is not unrighteous to forget your work and labour of Love,which ye have shewed toward his name,in that ye have ministered to the saints,and do minister.That ye be not slothful,but followers of them who through faith and patience inherit the promises”. (Hebrews 6:10,12). For those who bring evil to pass will be cut off,so patience on our part is needed.So remember God is Faithful that promised and his promises are made good through obedience and patience towards him. “For evildoers shall be cut off:but those that wait upon the Lord,they shall inherit the earth.For yet a little while,and the wicked shall not be:yea,thou shalt diligently consider his place,and it shall not be”. (Psalm 37:9-10). Waiting for the unseen is not easy,it is having Faith of what is not seen that we with patience wait on God. “For we are saved by hope:but hope that is seen is not hope:for what a man seeth,why doth he yet hope for?But if we hope for that we see not,then do we with patience wait for it”. (Romans 8:24-25). Waiting on the Lord keeps us in Faith,it is written the world lies in wickedness,so we must wait on the one who is able to keep our hearts and minds in perfect peace. “Be patient therefore,brethren,unto the coming of the Lord.Behold,the husbandman(farmer) waiteth for the precious fruit of the earth,and hath long patience for it,until he receive the early and latter rain.Be ye also patient;stablish your hearts:for the coming of the Lord draweth nigh”. (James 5:7-8).